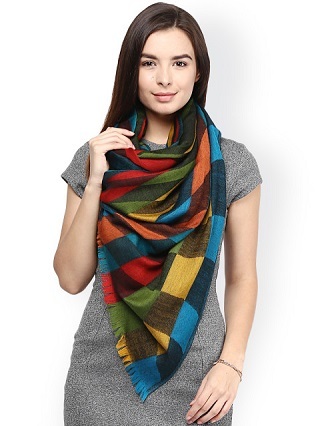 15 Beautiful Stoles To Keep You Warm And Stylish This Winter! Hot chocolate, Christmas and warm fuzzy clothes…how else can you describe winters? Well, chilly, gloomy and boring clothes are the other options - unless you decide to lay your hands on these beautiful stoles that will keep you warm while fetching you full points on style! After all, who doesn’t want to snuggle in a warm fuzzy stole on a chilly winter day? 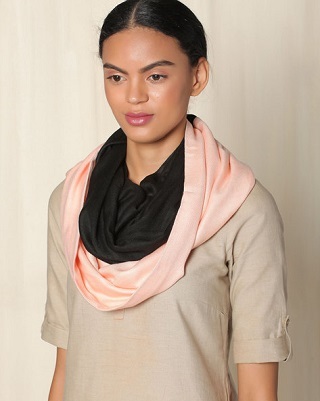 Welcome winters in this pretty bright pink stole with floral block print details from Fabindia. Made from jamdani, which is the finest woven muslin from Bengal, this stole will lighten up the dullest of your winter clothes. Price: Rs 1,490. Buy it here. Adorn this masterpiece of artwork made with pure silk that looks like flower petals when wrapped around the neck. 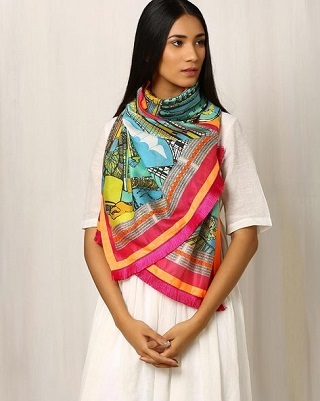 Featuring bandhani print, this silk stole is so different that it will totally make you stand out in the crowd. Price: Rs 1,699. Buy it here. This cute yellow stole with tassles is all you’ll want if bohemian is your kind of style. Also, just look at the price, it is really inexpensive and won’t burn a hole in your pocket. 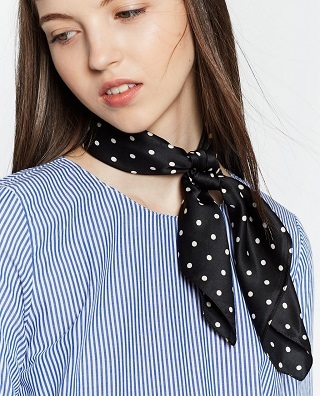 Bring the 90s back with this cute but very chic scarf from Zara. Pair it up with a leather jacket for an edgy look or with feminine blouses for a sophisticated look. Price: Rs 690. Available at all Zara stores. Winter is the perfect time to wear rich fabrics. 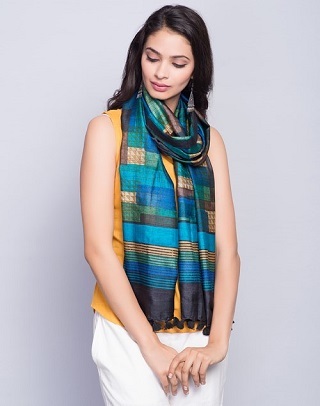 This tussar silk scarf looks has really bright colours and will look amazing with all your dark outfits. Just look at richness of the fabric and bright print. Still don’t want it? :P Price: Rs 1,990. Buy it here. If you love ethnic prints and pom poms, this is exactly what you’ve been looking for! 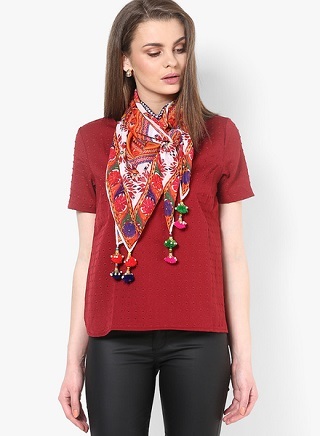 With the brightest colours and gorgeous prints, this stole is perfect for you. Price: Rs 511. Buy it here. Stay warm and stylish with winters in this jacquard weave stole from H&M. It’s definitely an investment you should look forward to making this season. Price: Rs 1,499. Available at all H&M stores. Look like royalty in this rich silk stole from Fabindia. Whether you love wearing Indian or western, this stole will complement all your outfits. We are literally drooling over the colour combination of this gorgeous stole. It will channel your elegance and grace in the best possible manner. Price: Rs 850. Buy it here. This two-toned stole had our hearts the very moment we laid our eyes on it. Made of blended fabric, this will light up your dark coloured outfits and keep you warm as well. Price: Rs 1,590. Buy it here. 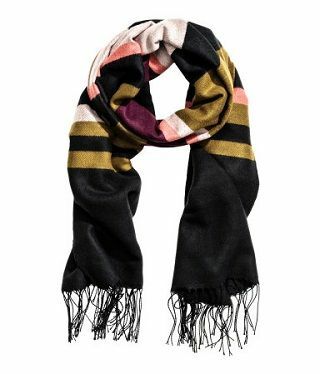 Pair this beautiful multicoloured scarf with an all black outfit and stand out in the crowd. Not only will it make you look stylish, but it will also keep you warm. Win-win! Price: Rs 1,695. Buy it here. 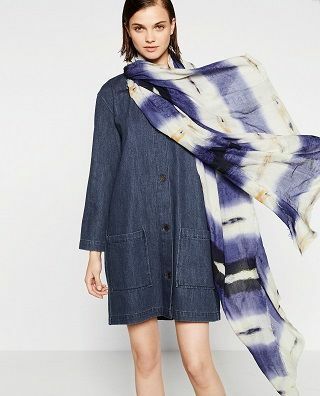 Featuring different prints and shades of blue, this stole from Zara is so cool and casual that we want it right away. *Running to the store now! * Price: Rs 1,490. Available at any Zara Store. Price: Rs 1,799. Available at all H&M stores. 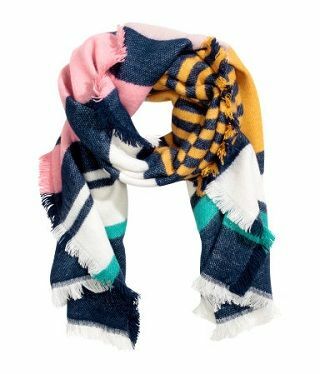 We are so in love with this cute scarf from H&M that we just can’t stop obsessing over it. 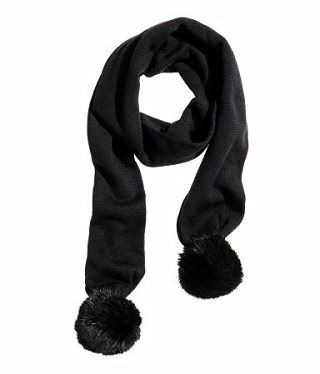 Featuring fur pom poms and woolen fabric, this scarf will make you look uber cute! Price: Rs 1,299. Available at all H&M stores. Aren't these all super pretty? !